OIS on the camera, does it have it or not? This might look like an ilogical question but the reality is...nowhere does it say if the "Nokia 8 Sirocco" has OIS on the camera or not. We assume it does because it has a huge camera hump and the "Nokia 8" has it as well. And if this is a "Nokia 8 Sirocco" it can't possibly have a worse camera. But...if it doesn't have OIS...then I'm afraid it IS a worse camera. According to few news pages and youtubers . There's no optical image stabilization (OIS) in Nokia 8 sirocco. Even I'm wondering. The premium phone with everything done well, how can they miss OIS ??!!! Yeah, meanwhile it has been confirmed that the phone does NOT have OIS. This phone is a complete fail, just like the Nokia 8 before it. Looks are irrelevant when you're missing the core features of a true flagship (which is what this phone is priced at). I've since lost any interest on the 8 Sirocco or ANY other HMD smartphone for that matter. After two years I think it has become clear that they are NOT capable of producing a real flagship worthy of the Nokia branding. 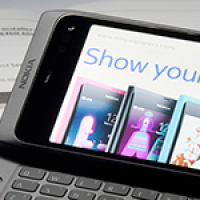 I would just wish Nokia would revoke their license and give it to someone else. I had the same question and I went ahead to contact nokia mobile support, they could not answer that question via facebook messenger, via chat within the care support in nokia 8 2017, nor via chat on this website. They said they would be contacting me via email but never got any answer from them. According to the website nokiamob.net whose team had the chance to speak with hmd chief marketing office Pekka Rantala it is confirmed nokia 8 sirocco DOES NOT have OIS, as per HMD said that is because the kind of customer nokia 8 siroccos is aimed for would be more willing to buy that device based on the look and feel, luxury experience rather than high end specs in the camera deparment. According to some techie it has one primary sensor with OIS. 1. Nokia 7 Plus do not support OIS. 2. Nokia 8 Sirocco support OIS. Mean while also confirmed with them Nokia 8 Sirocco supports EIS too for video stabilization with Qualcomm EIS. So as said i think since they are using two cams one support OIS and other EIS to have EIS and OIS Both. But then i think they should create a dual sim variant as it is having only Single Sim. That directly contradicts what the HMD team at MWC and the teams that have been presenting the phones around the world have said. All of them - just like the official website - say it does NOT have OIS. So I guess we'll have to wait for the phone to come out for it to be teared down and that doubt be put to rest. At any rate, in Portugal HMD is asking 869€ for the phone. That's the price of an S9. Needless to say, NO ONE will buy it at that price with such bad software and so many essential features missing anyway. 749€ in Germany is already too much for such a bad phone. I am amazed how BAD Nokia is at listing features of their phones. Looking on the spec sheet of the old Nokia 8 a lot was missing like USB OTG. With such amazing improvement in low light increased aperture can't make up for loss of OIS and tjey say its there. So for sirocco if they nail camera app, have ois on main at least and a good EIS on both + increased aperture the low light should improve. But daylight should suffer from the bigger aperture. Except this review from GSMarena - a FAR more reliable source when it comes to mobile than Forbes - specifically says it does NOT have OIS. So yeah. The 8 Sirocco definitely does NOT have OIS. As for the rest, I will reserve judgement on the quality to my own testing of the phone when its available. But unless HMD completely re-wrote the software, I expect all major problems to still be present namely the lack of ability to properly handle different exposures in a photo, the uselessness of HDR mode and the inability of the phone to keep focus locked wherever you told it to. The Pro camera will likely help tone down these issues but with the 7 Plus and 8 Sirocco lacking OIS, I'm pretty sure that will mean low light photos will be a complete and utter disaster, with you being forced to use a tripod and manual controls every time you want to take a photo in those conditions and not end up with a dud. У nokia 8 siricco есть ois !!!!!!!! На основном модуле !!!!! copes much better with low-light conditions. It has laser autofocus too. That Forbes information is wrong. It has already been confirmed that the 8 Sirocco does not that OIS. And as such, it performs terribly like all other HMD phones to date. The onliest smartphone with "OIS-camera" is the "old" Nokia 8 from 2017. My favourit. Can you share the official confirmation? ..it hurts my brain when i try and reason why HMD would make the decision to leave OIS out of their premier phone. Think about it, the cam division must have agreed, marketing must have agreed, product managers agreed, i mean, what were they thinking. They were happy enough to include it in the Nokia 8 that came before it. I just don't think they are ready for the big time, the right people are not there, and neither is the expertise, becoming embarrassing.